Liquid Bleach Brand - "Top Job"
First time buying bleach in bulk after I've fired the pool guy. 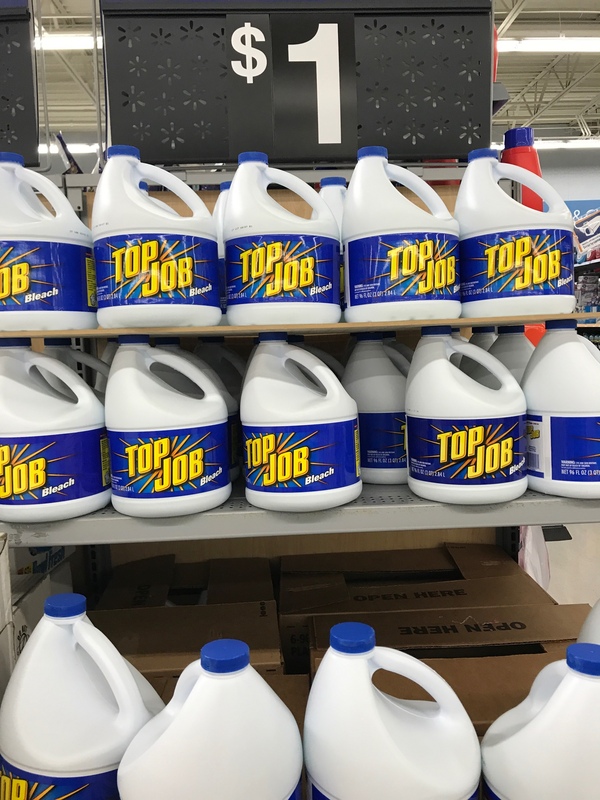 Looking at Top Job liquid chlorine bleach at Walmart. $1.00 for 96oz, seems like s good price. No active ingredient information is listed. Anyone used this or know anything about it? If it does not list the percent concentration then is probably really low and not worth it as it is likely you're mostly salt water. Ok I think I'll go with this then...have to get something and nothing else here. Doesn't seem like the best deal (you tell me) but it's $3.22/gal for 10% concentration. Make sure you check the manufacture date. It should begin with 17 (for 2017) and then the next numbers are the day of the year. Newer is better. I see on box in your pic the date is 17026. That would mean it was manufactured on January 26, 2017. That's old for bleach, which means it probably won't be at 10% strength any more. Thanks for this knowledge. I'll be more careful of date in the future. Guess I'll have to use the 6 bottles I got for now and adjust the strength in my calculations to perhaps 8-9%. Lol, Walmart. 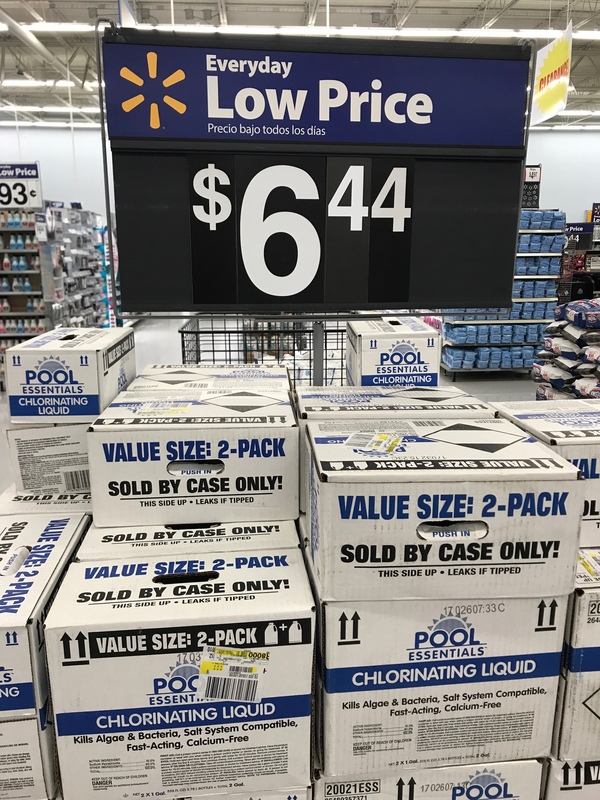 I bought a bunch of the same stuff at our Walmart, stored in the same manner, and with the same date code (January 2017). They don't seem to keep much on hand here, though, so I'm sure I'll be switching over to the 8.25% Great Value before too much longer. I actually couldn't find any of the Great Value bleach other than concentrated for High Efficiency washing machines. Is that OK to use? Most likely. As long as it doesn't say splash less or scented. Concentrated usually means it's 8.25%. But check the label to be sure. They like to change things some times.